The Forestry Chronicle has recently published a paper describing the successful collaboration between the European and Canadian Universities on Forestry education. The programme described is the EU-Canada TRANSFOR, and includes the involvement and experience of the University of Eastern Finland / Joensuu. The program fostered internationally focused understanding of forest ecology and management, as well as economic and cultural factors, as will be required to develop effective international standards for sustainable forest management. Most student participants reported that it was a very positive experience and a high point of their education. 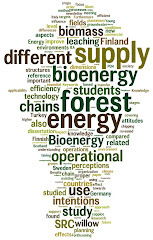 The TRANSFOR (Transatlantic Education for Global Sustainable Forest Sector Development) program has promoted international student and staff exchanges among four Canadian (Alberta, British Columbia, New Brunswick and Toronto) universities and universities in four European countries (Germany [Freiburg], Finland [Joensuu], Sweden [Swedish University of Agricultural Sciences, Umeå] and the United Kingdom [Bangor University, Wales]). The program incorporated five components: one or two semester study visits for undergraduate forestry students, working internships, summer field courses, study visits for academic staff, and TRANSFOR project meetings. The summer field courses were a highly innovative part of the program and allowed students to spend three to four weeks learning about forestry activities and challenges on a continent different from that of their home institution. The program fostered internationally focused understanding of forest ecology and management, as well as economic and cultural factors, as will be required to develop effective international standards for sustainable forest management. Most student participants reported that it was a very positive experience and a high point of their education.